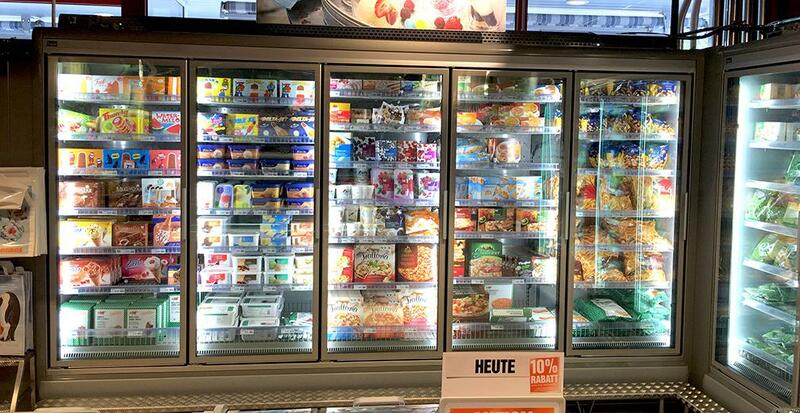 In equipping three new supermarkets for MIGROS, Switzerland’s largest retail company, an important criterion was the energy efficiency of commercial refrigeration equipment as well as the environmentally friendly refrigeration technologies. The company has selected FREOR’s enviromentally friendly refrigerant propane R290 driven plug in commercial refrigeration cabinets with Hydroloop hybrid refrigeration technology. 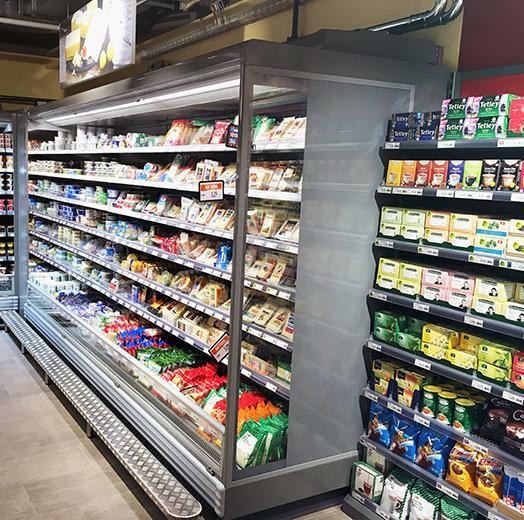 New supermarkets with FREOR refrigeration equipment were opened in Herden (of a total area of 600 m2), Lostorf (of a total area of 380 m2), and Herisau (of a total area of 300 m2). 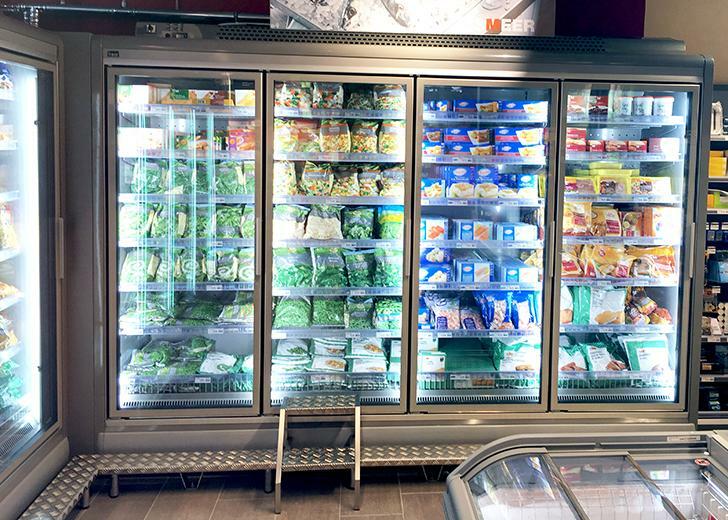 FREOR multidecks Jupiter, freezers Erida and Delta with propane R290 driven inverter compressors, the operation of which is controlled by frequency converters, were installed in the supermarkets. Improved propane system is controlled by specially developed software. Internal tests demonstrate that this enables the additional saving of 10-20 percent of energy. 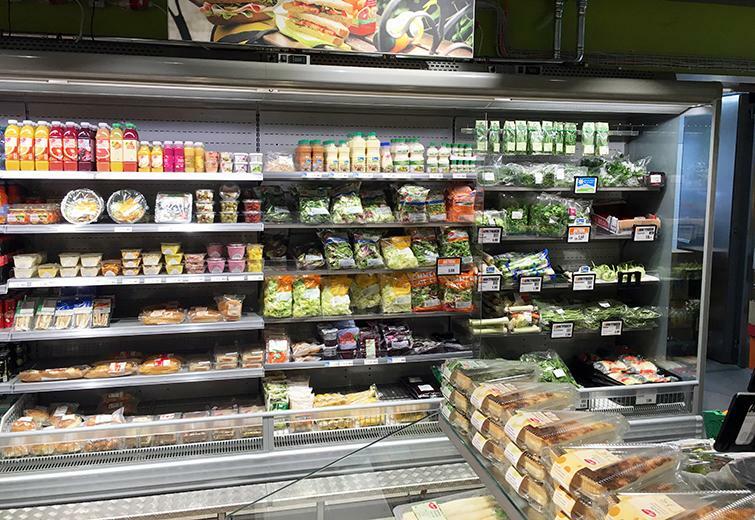 ECO DOOR FT frameless doors from our partner PAN-DUR were used for Jupiter multidecks, reduced frame ECO CLEAR AGD doors from partner SCHOTT – for Erida and Delta freezers. Such solutions not only ensure the excellent visibility of products, but also save up to 60% of energy. Hot gas defrosting without using the additional heating elements, which enables to additionally save electricity, was also used in the furniture with doors. The entire refrigeration equipment is compatible with Hydroloop Hybrid energy-efficiency solution, which facilitates heat removal through the liquid-cooled line or its utilization for the supermarket’s needs. Hydroloop system – is a cost-effective solution for shops, which allows connecting the plug-in refrigeration equipment to closed cycle liquid-cooled system, in which excess condensation heat is removed through water pipes to the exterior of a building. Pump station ensures liquid circulation. Hydroloop hybrid allows combining two different heat removal systems – via air or plate condenser, with the possibility to switch over the regimes, which guarantees easy use of excess heat for shop needs. Heat is either emitted directly into the shop via air condenser mounted in the equipment (in winter) or removed from the shop via glycol line to the outside (in summer). It allows heating of the shop when needed. This innovative system guarantees high efficiency, faster shop installation, saves space, gives freedom of equipment relocation, uses smaller quantities of refrigerant and is simpler to look after. Decentralised operation of refrigeration equipment allows avoiding losses which could be caused by interruption in central refrigeration system. All these advantages cut down costs and save your money.